SeaPro collagen is manufactured from a leading company in France which has more than 110 year’s history in collagen research and development. SeaPro collagen is extracted from marine fish skin through hydrolysis process. Its special amino acid elasticity, repair tissue, whitening, body weight loss and other useful features. In short, the overall result allows you to experience the beauty from inside out. SeaPro collagen is manufactured under an integrated management system that allows full coordination in accordance with strong hygiene and safety programmes. SKU: Sp01 Categories: Beauty Products, Health and Supplement Products Tags: Food & Beverage, Health & Beauty Brands: Seapro. ‘ ollagen is the major component of protein and is widely distributed in human body. It consists about 1/3 of the total protein in human body and contributes 5-6% of human body weight. Collagen is an important building block for the skin and about 70-80% of skin weight. An adult’s body consists of 3kg collagen, mainly in human skin, bones, eyes, teeth, muscles, organs (including heart, stomach, intestines, blood vessel and etc), and also other parts of the body. Its function is to maintain the skin and organs in the form and structure, meanwhile, it also repairs the damaged body tissue. With increasing age, increasing the pressure of life, as well as improper use of cosmetics and so on, women began to dry rough skin, loss of elasticity, texture and obvious symptoms of old, the fundamental reason, it is quiet a lot of collagen in vivo drain. Women at the age of 20 will begin to lose collagen, decreased from year to year, age of 25 is the peak of the loss. Age of 40, half the content is less than 18 years old. The loss of collagen, resulting in skin elasticity support network broken skin tissue atrophy, collapse, the skin will appear dry, rough, loose, wrinkles, large pores, dull, pigmentation and other signs of aging. SeaPro Marine Collagen increases skin Secret hydration level by 28% after 8 weeks. And reduce the depth and width of the wrinkles. 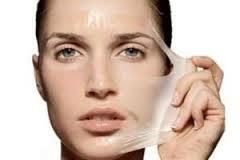 Marine Collagen also increases skin suppleness by 19%. Marine collagen smoothes skin micro-relief furrows by 26% and prevents deep wrinkles formation. SeaPro collagen and joint health : Daily intake of 10g of collagen can reduce joint pain, significant effect to serious patient; Stimulate the joint cells to produce type 2 collagen (cartilage cells). SeaPro collagen and bone health : Daily dose of 10g of collagen for bone metabolism has a positive effect; Able to increase bone density, especially in the case of inadequate calcium intake; Increases the number of osteoblasts and to stimulate the production of new types of osteoblasts; Increased bone hydroxyproline in the ability of cells that can stimulate bone to generate collagen. Moisturizing : Collagen contains hydrophilic with natural moisturizing factor to aid in moisture lock system, it helps to keep our skin moist, shiny and delicate. Restore Elasticity : Collagen repairs damaged and aging fiber network in the skin, increases skin compactness, result in skin tension, minimise pore and restore skin elasticity. Whitening & Fading of Dark Spots : Collagen helps to generate new cells faster, prevents dark spots, reduces UV stimulation of melanocytes, whitens the skin and even fades the existing dark spots. Anti-aging : Collagen aids in holding up the skin cells , combining the effects of moisturizing and wrinkles suppression, and thus reduces fine lines and prevents deep skin wrinkles. Repair Tissues : Active collagen able to penetrate directly into the skin in order to help cells in collagen generation of collagen protein, which prompts the growth of normal skin cells, refreshes the skin. Firming Body Shape : Hydroxyproline in collagen helps to tighten connective tissue of the skin. This results in breast fullness, upturn of buttocks, and creates graceful body curve. Marine Collagen is made with 100% hydrolyzed pure fish derived collagen, no additives, with average molecular weight of 2,000 Da. Consume 1 sachet of collagen every day, you can also increase the amount to appropriate dosage (1-2 sachets per day), based on your skin condition. Taken 1-2 hours before sleep at night will lead to better effect. Pour the collagen powder into the water below 400C and drink directly when fully dissolved, or you can also mix into the milk, juice, coffee, green tea or soup to have better flavor. SeaPro collagen is 100% pure and natural. It does not contain any artificial ingredients and flavoring. Therefore, SeaPro collagen can be consumed daily without any side effect. Pregnant lactating woman and children below 2 years old should consult health care professionals before taking this product.